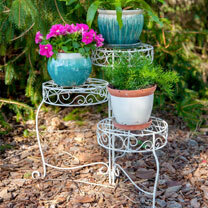 Add pots and containers on the Panacea Distressed White Finish stand for a beautiful look outdoors. 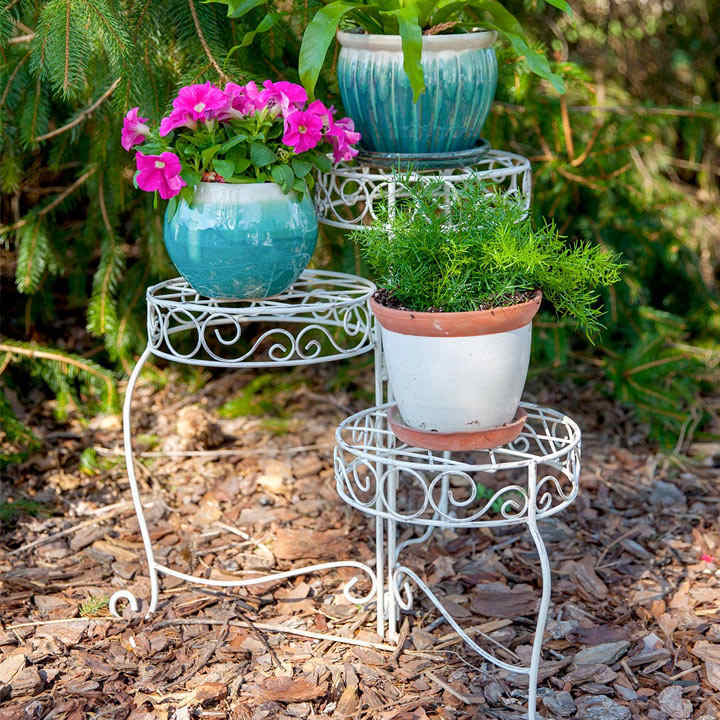 The gentle arch and detailed scrolls of this piece bring a delicate look to your backyard, while the distressed finish on the white body adds an antique effect. Width 58cm x Depth 58cm x Height 55cm.